"This ain't exactly your inspirational cripple story." - Billy Golfus. We are proud to announce the DVD re-release of When Billy Broke His Head... And Other Tales of Wonder. 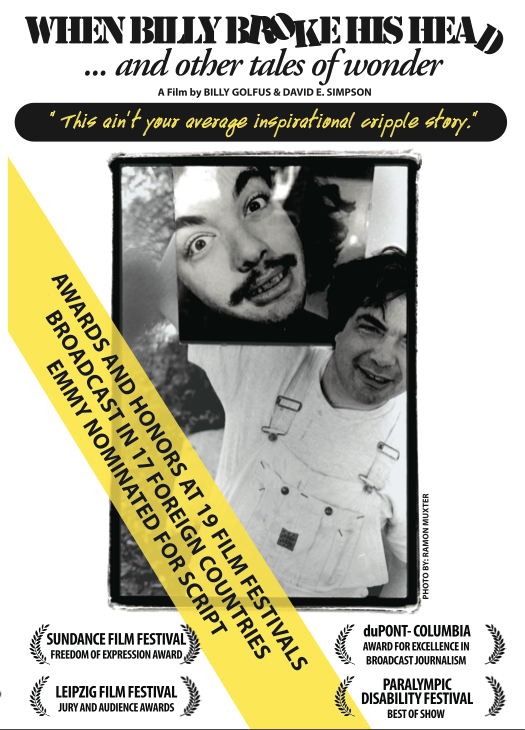 A groundbreaking film about disability culture that garnered major prizes at a dozen film festivals, including a jury award at Sundance and a duPont-Columbia Baton for Journalistic Excellence, the 1995 film has been unavailable on DVD for the past few years. "When the film was first released, it was revolutionary." - Read Director David E. Simpson, a long-time Kartemquin Associate, on the film's enduring relevance.